Button mushrooms have grown wild since prehistoric times, having been consumed as food by the early hunter gatherers. Since ancient times, mushrooms have been thought to have special powers. The Egyptians thought that they granted immortality, and since only the pharaohs were felt to be worthy of this gift, the common people were not even allowed to touch mushrooms, let alone eat them. In ancient Rome, people oftentimes referred to mushrooms as cibus dioruma" food for the gods. The folklore of many cultures, including Russia, China, and Mexico held that eating mushrooms could give someone superhuman strength. Historians are not entirely certain about the time period in which humans first began cultivation of mushrooms for food, but this cultivation most likely began in Asia, involving cultivation in China, Japan, and India. The first Western cultivation dates back to the 17th century in Europe. Especially well-known is mushroom cultivation that began in France, specifically in the catacombs (underground caves and tunnels) that lay beneath the city of Paris. The button mushrooms are sometimes referred to as Paris mushrooms ("champignons de Paris") for this reason. Mushrooms are still commercially produced underground in the Tours and Saumur regions of France. China is currently the world's largest commercial producer of mushrooms, following by Europe and then the United States. Within the U.S., about 70% of all mushrooms are grown on the east coast, with the state of Pennsylvania having the highest U.S. yields. 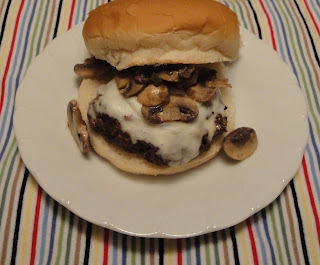 You will love this simple juicy burger topped with Swiss cheese and fresh mushrooms. Very flavorful. Copyright 2012, Christine's Pantry. All rights reserved. In skillet, melt butter over medium heat, saute mushrooms, about 5 or 7 minutes, until tender. In large bowl, combine ground beef, Worcestershire sauce, salt, liquid smoke and steak seasoning. Form into 4 patties. Spray skillet with nonstick cooking spray. Cook burgers over medium high heat, about 10 to 14 minutes, turning once, until no longer pink. Place one slice of cheese on each burger, cover, until cheese melted, about 1 to 2 minutes. To build, spread mayonnaise on tops and bottoms of the buns, place burger on bottom halves, top with sauteed mushrooms, then top with the top half of the bun. Enjoy! This has always been a favorite of mine, it's so comforting! Its such a simple idea to put mushrooms on a burger! Yum. This looks great, Christine! I rarely eat fast food but when I do, I tend to look for a mushroom swiss burger on menus... now I can make my own! These look delicious, Christine! What a great combo of flavors on those burgers, yum! Thanks for sharing. Also, I'm having a ChicWrap giveaway today that you should enter! I wish mushrooms gave me superhuman strength. One of my favorite ways to have mushrooms is on my burgers. This looks great. One of my favorite burgers. Great post. Buzzed. Mushroom Swiss burgers are 100% my favorite. YUM looks delish Christine. 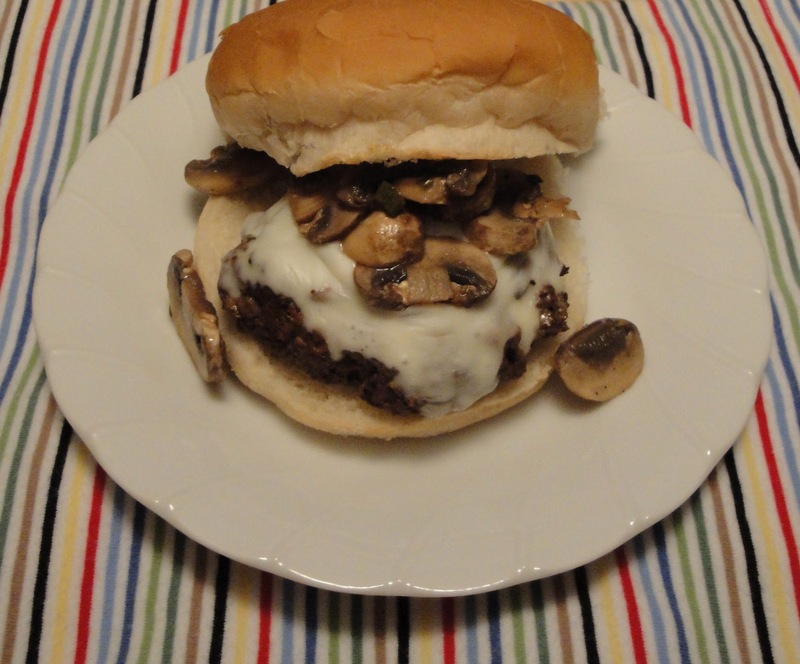 I LOVE mushroom on my burgers... that looks SO yum, Christine! I love the combination of mushroom and swiss sounds fantastic! I love mushrooms! These burgers look fantastic!